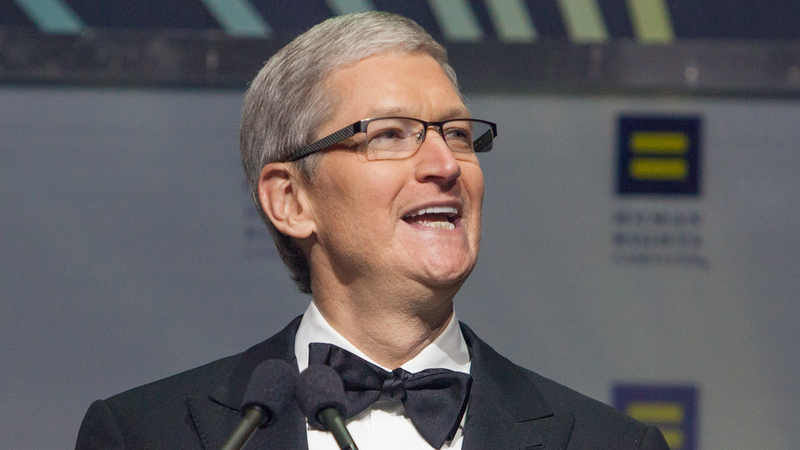 Today, HRC announced that Apple CEO Tim Cook will receive the organization’s Visibility Award at the 19th annual HRC National Dinner on Saturday, October 3, 2015, in Washington, DC. "Tim Cook is a visionary whose leadership of Apple has been nothing short of remarkable," said HRC President Chad Griffin. "His willingness to bravely and directly speak his truth has not only given hope to countless people around the world, it has saved lives. Through his example and Apple's commitment to equality, LGBT young people in particular can look to Tim Cook's incredible career and know that there is nothing holding them back. They can dream as big as their minds allow them to, even if they want to be the CEO of one of the world's largest companies. HRC is honored to welcome Tim to our National Dinner." As head of one of the most innovative and creative companies in the world, Cook’s personal and professional contributions to equality are deeply significant and impactful. As an openly gay CEO of a Fortune 500 company, Cook continues to have an enormous impact on Corporate America and beyond. This past year, Cook has consistently lent his powerful voice to the fight for full LGBT equality by supporting pro-equality legislation, and most recently helping to fight back an onslaught of state-level anti-LGBT legislation– most notably in the high-profile fights against notorious so-called “religious freedom” bills in Arkansas and Indiana. He has been a consistent supporter of federal LGBT non-discrimination legislation, including the Employment Non-Discrimination Act (ENDA). Under Cook’s leadership, Apple was one of the earliest major corporations to come out in support of the Equality Act– a landmark federal bill that would guarantee explicit, permanent protections for LGBT people from discrimination in many of the most important aspects of their lives. During his tenure, Apple has remained a strong leader in advocating for LGBT equality. In 2002, Apple was one of only 13 companies to earn a perfect score of 100 percent on HRC’s inaugural Corporate Equality Index, a landmark national benchmarking tool that measures LGBT inclusion in the workplace. It has maintained a perfect score every year since. The 19th annual HRC National Dinner, which is sold out and expected to draw over 3,000 guests, will be held at the Walter E. Washington Convention Center. As previously announced, Vice President Joe Biden will deliver the keynote address. In addition, seven-time Emmy Award winner Allison Janney will present HRC’s National Vanguard Award to Academy Award nominated actress Ellen Page for her courage and leadership. Retired NBA athlete Jason Collins and Blossom Brown are also slated to speak. Multi-platinum selling Grammy nominated singer and songwriter Carly Rae Jepsen, and multi-platinum selling Grammy award-winning A Great Big World – joined by Hip-Hop artist Futuristic – will perform. More information is available at www.hrcnationaldinner.org. Also as previously announced, former Secretary of State Hillary Clinton will speak to the organization at a separate event on the morning of October 3. Approximately 800 grassroots leaders from across the country – including the HRC Board of Directors, HRC Board of Governors, HRC staff, and volunteer leaders and supporters from the organization’s over 1.5 million members and supporters in all 50 states – will hear from Secretary Clinton.